Suresh Prabhu has also asked the Ministry of Civil Aviation Secretary to get a report on Jet Airways' compliance issues immediately from Directorate General of Civil Aviation (DGCA). New Delhi: Union Minister of Civil Aviation Suresh Prabhu on Tuesday directed the Secretary to a hold emergency meeting on the grounding of flights by Jet Airways, its advance bookings, cancellation, refunds and safety issues, if any. 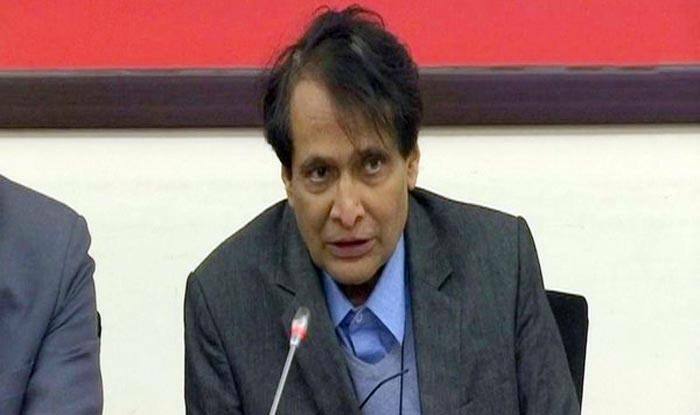 Prabhu has also asked the Secretary to get a report on Jet Airways’ compliance issues immediately from Directorate General of Civil Aviation (DGCA). Earlier today, there was speculative news in media that DGCA had called all airlines to discuss over airfare hikes due to major Jet Airways flight cancellations and Pakistan airspace closure. This news is wrong, clarified DGCA sources. Jet Airways has grounded a number of planes since February 7 due to non-payment of lease rentals as a result of severe financial crunch. As per the company’s exchange fillings, a total of 41 planes are grounded due to non-payment of dues to lessors. Shares of Jet Airways fell by over 6 per cent on February 28. Shares of the company dropped 6.15 per cent to Rs 211 on BSE earlier. On NSE as well, the shares slumped 6.30 per cent to Rs 210.15. The airline has still not found a way to infuse emergency support of Rs 750 crore rupees as talks with Etihad Airways, which has 24 [per cent stake in the airline and lenders have remained inconclusive so far.